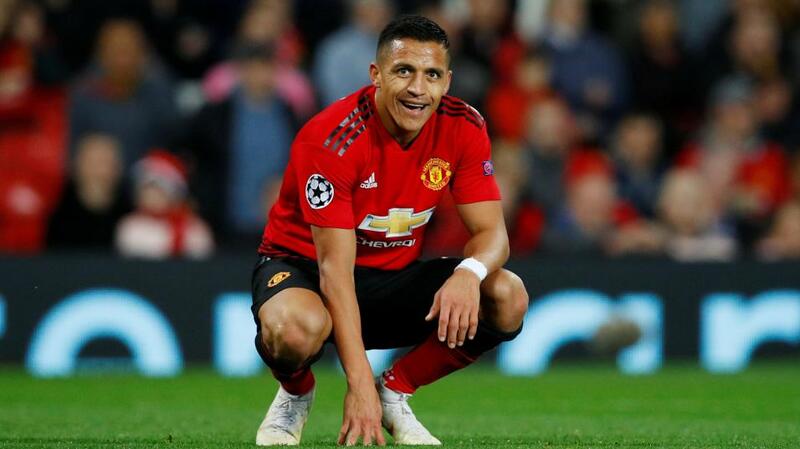 Alexis Sanchez scored the winner against Newcastle - can he and Manchester United kick on from that win? "It's not been a satisfying season so far for United and nobody connected to the club will like their position because the only position United should be in is top of the league, it's a cliché but it's true. Based on the silverware United have won, you know that United need to be in the top one. Eighth place is not where the club should be." It's not often that United go into a clash against a Big Six rival at such long odds, but I think my old club can get something from this trip to Stamford Bridge. That comeback win against Newcastle gives me hope that the club have turned a corner. That game against Newcastle was crazy. I was jumping around my house! I was in shock after the first half but the performance and the desire they showed in the second 45 reminded me of what United stand for, fighting until the last minute to get the win. That victory told me the spirit is still there, and the team want to win because it's not easy to turn a game around from 2-0 down. It's the same for every team but the international break came at a bad time for United, who are in a situation where they maybe needed another game more than other sides in the league just to build on the momentum. And this is not going to be easy. 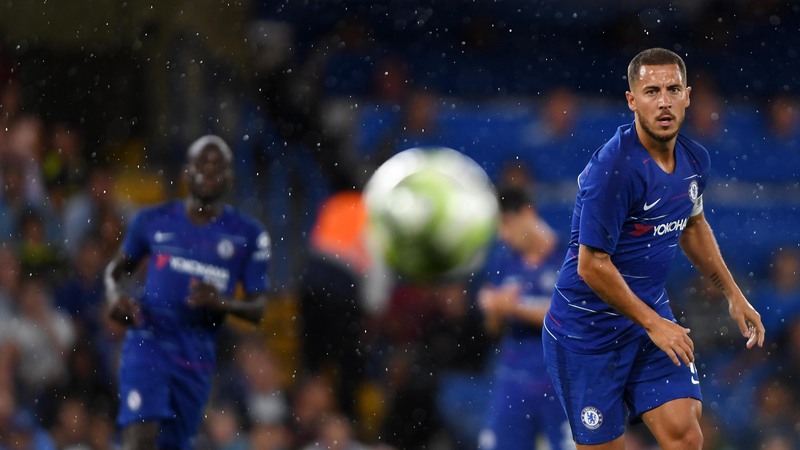 Chelsea are in incredible form, powered of course by Eden Hazard - who, at 27, is at the peak of his powers - he is the cherry on the Chelsea cake. The beautiful things come from him - the runs, the dribbles, the goals. Hazard is their main weapon and United will have to deny him space as he is so dangerous running at a defence but it's not just about him, it's about the team, and Chelsea aren't second in the league just because of the Belgian. United do have the players to stop Hazard and if they get their tactics right they will give themselves the chance to counter and score, too. These are two great Premier League sides, with great players and coaches so, on paper, it's going to be an interesting game to watch - but it could be tactical and Sarri and Mourinho may outsmart each other. I hope we'll see goals but I wouldn't be surprised to see a 0-0, and I do think the game will probably end in a draw. Chelsea are second in the league for a reason - controlling possession, winning their games, scoring plenty of goals - and they are at home. United will probably take a defensive approach, especially early on but as it unfolds United should get opportunities to exert themselves on the game. Maybe they will play videos of the Newcastle win on the bus? That's what we used to do before important games with United. You need to put something in the heads of the players, to motivate them and give them belief. Hopefully that'll be the case and United can go out there and perform, but not wait until they are 2-0 down to start! In previous title races, history shows us that teams can come back from bigger points deficits than United's seven points and a win at Stamford Bridge will put them just four back from Saturday's opponents. Even 10 points wouldn't be the end of the world but I do know that If they don't beat Chelsea the speculation and rumours will start again. It's not been a satisfying season so far for United and nobody connected to the club will like their position because the only position United should be in is top of the league, it's a cliché but it's true. Based on the silverware United have won, you know that United need to be in the top one. Eighth place is not where the club should be. There's no need for me to say it but I'm sure the players, the manager and the fans aren't satisfied, so I hope they can build on that Newcastle result, because a win takes them to just four points back from Chelsea. It's been a stop-start season and my old club must start winning and turn it around. Jose Mourinho is again in the news after allegedly swearing into a TV camera in Portuguese after the Newcastle match. I didn't see the incident and I don't have much to say about that directly. But I do know that we are all human, and stress affects us all. It's normal to lose your cool sometimes. It's not nice but I have done it myself as have many other managers and players down the years and as it's Manchester United you have the media factor added in, too. I always enjoyed my games against West Ham, they tried to play football and that was good for me. Two fixtures in the Spurs shirt stand out for me - a brace to open the scoring in a 4-0 win at White Hart Lane and a 90th minute equalising free-kick in a 4-3 win for Spurs in 2007. That was a crazy game let me tell you! It's the week after the international break, though, and I don't see this being either as one-sided or high-scoring as those fixtures. West Ham's last three Premier League games have brought a draw with Chelsea, a defeat of United and a loss to Brighton - they are a team that can beat anyone but lose to anyone, the sort that makes football interesting! For me, Spurs have the better players and they will take this one. Their England players were really impressive against Spain and they will be on a high for this as Tottenham try to keep pace at the top of the league. Going back to that England game, let me tell you something - Harry Kane can play in midfield! The assist for Marcus Rashford's goal was something special. He had three players around him so the pressure just to keep the ball was amazing, but he picked up his head, saw Rashford running and delivered a wonderful pass. It was everything a captain should do, truly leading by example. His other assist was brilliant, too. It's difficult to look at the ball and your teammate and then to deliver such an unselfish pass - unbelievable! I was watching and thinking this is a centre-forward who is more than just that, he can do everything at the moment. And he's a captain. There's been a little bit of criticism of Kane coming deep for Spurs but as long as his team-mates make runs it's not a problem. When you drop a bit deep to receive the ball your teammates need to understand that, and make their runs to give a passing option. Look at what Rashford and Sterling did for England. Eric Dier is very tough, and has an English way of playing. The way he smashed Sergio Ramos off the ball it was like he had a grudge or something! He was booked for that tackle on the Real Madrid legend but he won the ball actually, and he wouldn't have been booked for that challenge in England. Dier's performance was encouraging for Spurs, as was Harry Winks' display. These guys must be buzzing right now. Tottenham have a Champions League fixture next week so the games are coming thick and fast and they need to be clever in this period. Every footballer wants to play every game and will never admit to any fatigue, they want to be on the pitch with their teammates but Mauricio Pochettino may have to rest one or two every now and again over the coming weeks. Kane is key to Tottenham and if he gets injured that would be disastrous for them. This will be a good test of their game management and if they can get a lead and ride it out that will be great. Sometimes 1-0 will do. Three points is three points. I think they can do exactly this on Saturday.